Dreaming about Greece this summer. May my greams come true. Looking for a job since december. No job in Paris for me this winter. Maybe tomorrow? Hope for tomorrow. Do you still buy yogurts and other milk products in the supermarkets? I am not a food designer, but hope this pic will attract and persuade you. This is local yaourti made of sheep milk. We buy it at one kafenio in K., in Evia. It is different from the one made in Evia, Gimno, and sold in the supermarkets and small pantopoleia. It is more tasty, more fat, more liquid, with a slight flavor of cinnamon. I would only eat the scum of it… A little bit more expensive: 5 euros for 1 kilo. One kilo for two persons is almost nothing, because we finish it the next day. Find the same yogurt on your island and enjoy it! Paximada is a promontory on the South Euboia. At this point the seasonal summer north wind meltemi, μελτέμι, exceeds 100 km/hour. The sea becomes rough and dynamic, you feel sand and rock dust on your teeth, you can’t walk vertically, the air is full of music of spheres, finally, meltemi can just take you like a sand grain and throw into the sea. This almost happened to me once, but I grabbed the air with my terrified hands, and that was what saved me from the falling from the rock. Victim of the small stones shrapnel, I got red bruises on my legs… What an adventure! I would describe this day at Mavrommatis as the “death metal”: furious hunger, crowds of clients. Where were they yesterday??? The scroogest of the scrooge left something. 4 euros for me + 3 Melina + 2 Djibrine + 2 Ammara + 1,5 Raluca + 2 Mamadou + 1,5 Mila. After I finished I handed my letter saying that I quit this job. Vassilis, my boss, asked me why. Because, I say, my exhaustion is THAT BIG while my salary is that small. He did not try to negotiate nor asked me to change my opinion, nor promised to find a solution. Chloe and Melina – Lumière and Black Beauty – really, sincerely regret I’m leaving… I understand, you do what you want, but I already miss you so much! told me Melina… the girl who criticized me all these three months! 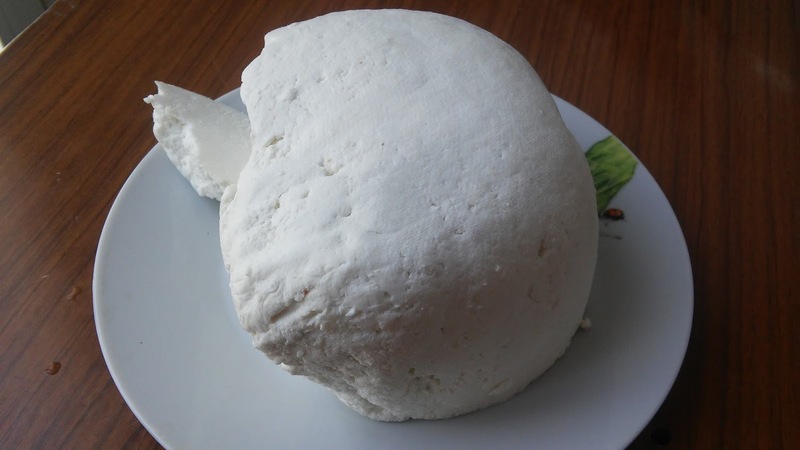 If you like soft cheese with minimum of salt, anthotyro is what you have to taste in Greece. It is the secondary product made after the main one – kephalotyri. The best anthotyro however is not sold in the supermarkets. The supermarkets only sell the pale shadows of things. During summer 2017, we were offered two BIG, generous pieces of anthotyro by Angeliki, a woman holding one fish shop in K. on the Evia island. Its texture, color and taste were completely different from those of the supermarket “ready-made” anthotyros. More rich, containing small bits of fat, yellowish instead of whitish, and having taste! Angeliki refused to take money, so the next summer we did not dare ask for anthotyro once again as we would like that the person (Angeliki’s sister) producing cheese was rewarded at least a little bit. I would pay for the home anthotyro three times more than for the industrial one… At the same time, I love Greeks for their simplicity and generosity, for their staying so often so far away from commercializing any bit of any thing, far away from capitalism. Since ancient times, the oldy-wordly barter system is still functioning in this country. Το καλύτερο είναι να μην το πάρεις στα σουπερμάρκετ αλλά να δοκιμάσεις αυτό που φτιάχνουνε οι άνθρωποι που κρατάνε ζώα, το σπιτικό τυρί. Η Αγγελική που κρατάει ένα ιχθυοπωλείο στην Κ., μας πουλάει ψάρι μας έφερε δυο φορές ένα μεγάλο κομμάτι, περίπου ένα κιλό ήτανε. Αυτό το ανθότυρο το καλύτερο! Είναι λιπαρό, λίγο πιο σκλήρο αλλά και μαλακό ταυτόχρονα, το χρώμα του δεν είναι τόσο άσπρο όπως στο σουπερμάρκετ αλλά υποκίτρινο, και η γεύση του εντελώς διαφορετική δηλαδή έχει γεύση. Σαν να ‘ταν λίπος ή βούτυρο το τυρί αυτό λιώνει επί το μαχαίρι, περιέχει και μικρά κομματάκια του κεφαλοτυριού. Δεν πήρε λεφτά η κυρία αλλά εγώ θα πλήρωσα για αυτήν την délice δυο και τρεις φορές παραπάνω. Ακόμα και μια κυρία που μένει κοντά μας στην Κ. έχει κρεοπωλείο με τον άνδρα της, μας έφερε ένα κομμτάκι ανθότυρο. Τότε καταλάβαμε για ακόμι μια φορά, ότι τα σουπερμάρκετ είναι ένα μεγάλο λάθος.